I have been to the Boathouse before for lunch and its was absolutely lovely. 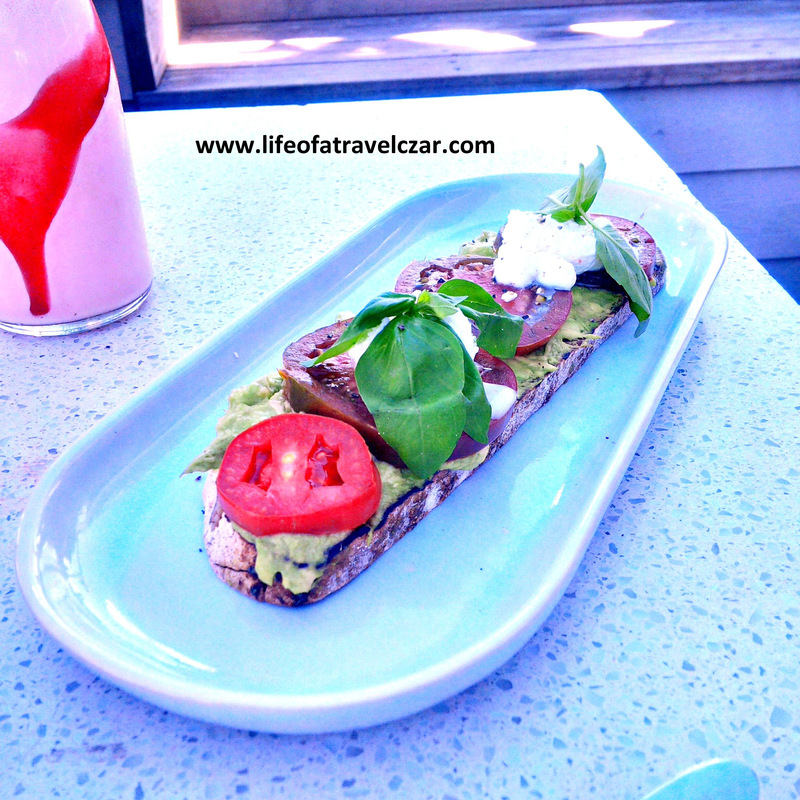 You can check out my review here (Boathouse Palm Beach – Lunch). Today I am here for breakfast. 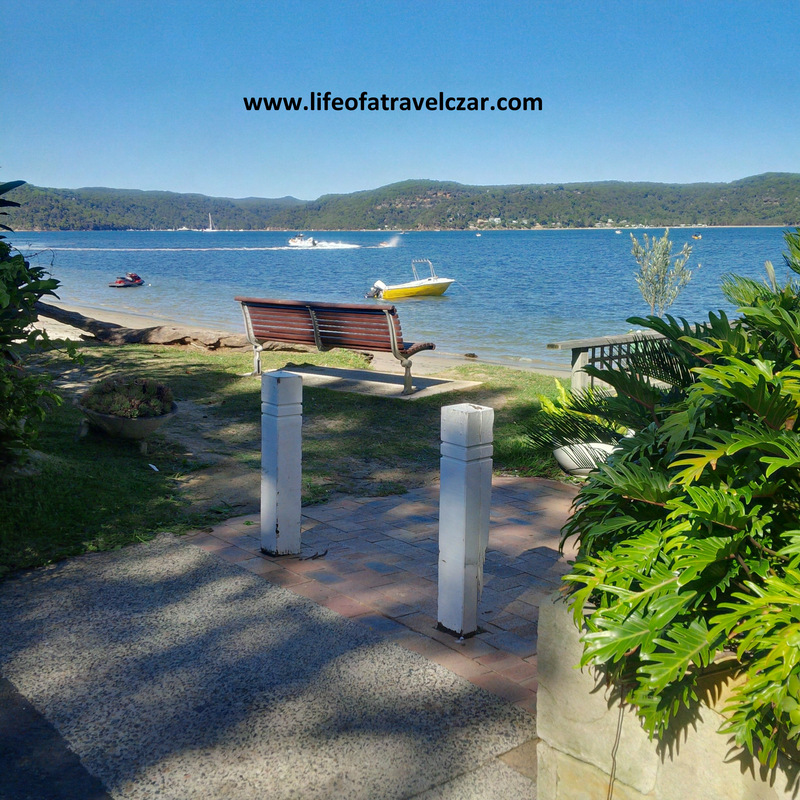 I wake-up extra early (so not the cool thing to do on a Saturday morning) and make my way up through the Northern Beaches to the scenic location of Palm Beach and this (picture below) is view from the Boathouse. Its so beautiful, the gentle splash as waves meet their end on the shore of the sandy beaches, the blue waters of the bay, the bright green vegetation and of course the beautiful wooden timber that supports the Boathouse. Its such a wonderful sight. You have to order at the counter and the super friendly staff process the orders and they come through pretty quickly. The breakfast dishes are quite large and can be shared. 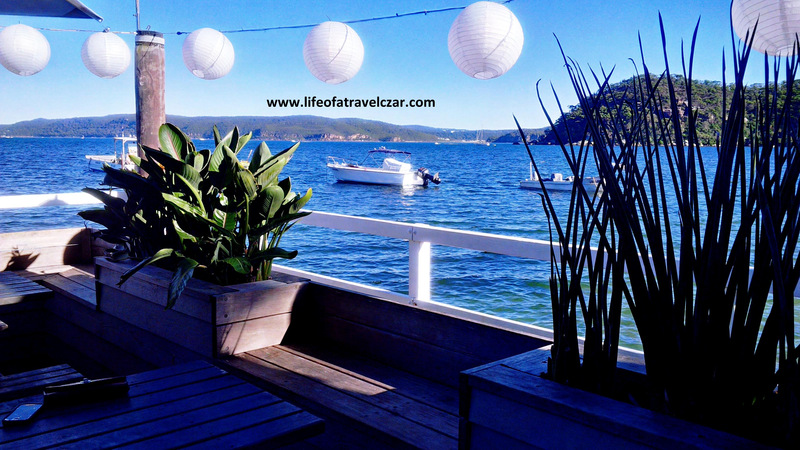 The view from the table is wonderful, amazing rustic dishes against the backdrop of the beach! Here are the dishes in more detail…. The lovely fruit releases a burst of a juicy, sweet sensation on the tongue, while the gravely texture of the macadamia crumble (mix of nuts and grains) counters the softness of the fruit. The “french toasted” croissant has a sweet, sticky, crispy, smoky caramelised outer coating which is delight to crunch through to reveal the soft fluffy flaky pastry which hides within. The subtle apple puree adds a wonderful touch to the croissant to balance the caramel and provides a grainy texture to the dish. I avoid the mascarpone as its probably too rich for me and likewise the maple syrup in the cup (I have had my sugar hit)… although I could imagine those would be wonderful touches to what was already a wonderful dish. Of course an early morning start needs to be countered with some delightful caffeine. 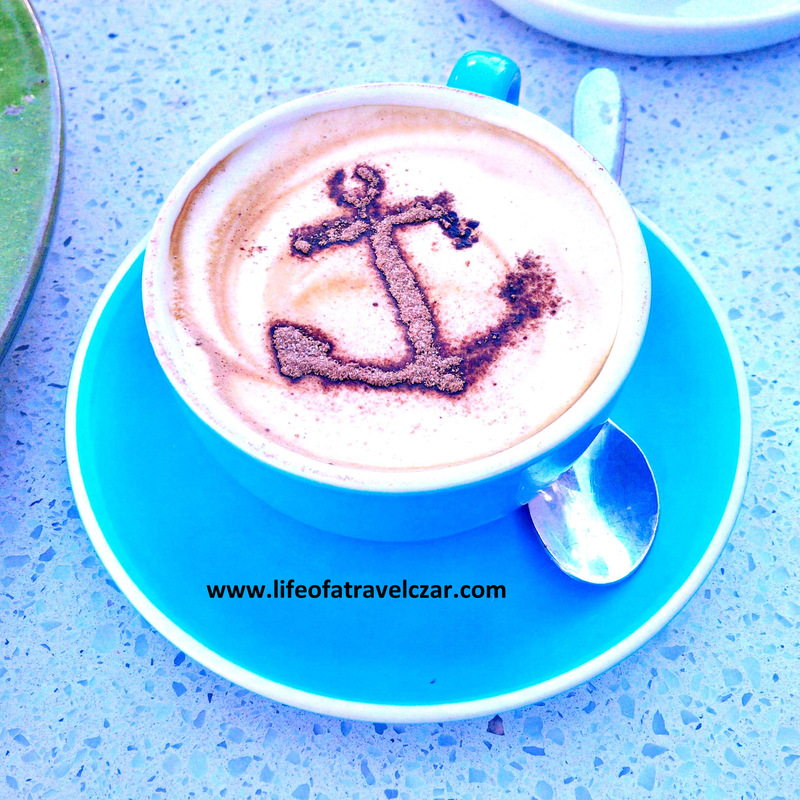 By the way, how cute is this little anchor design on the cappuccino? The sweet chocolate dusting mixes which the beautiful soft velvety crema and foamed milk to form this bitter sweet mocha style introduction to the coffee while the milk and espresso which follow wake up all the senses to enlighten the morning. The rich juiciness of the fresh ripe tomatoes are perfectly balanced with the creamy avocado, while the soft bitter creamy goats curd provides an extra dimension to the dish which also has the herby and slightly bitter aftertaste of the basil leaves. The crunchy charred toast adds hints of smoke and a wonderful contrast of textures to the softer toppings while the spicy cracked pepper adds a nice kick to close-off the dish. Its a simple dish which is well executed. The walk outside is so beautiful and there isn’t a cloud in the sky. It reminds you to be thankful and just appreciate the beauty that is around you! Such a lovely morning, with cool rustic food, friendly service in one of the best locations in Sydney! 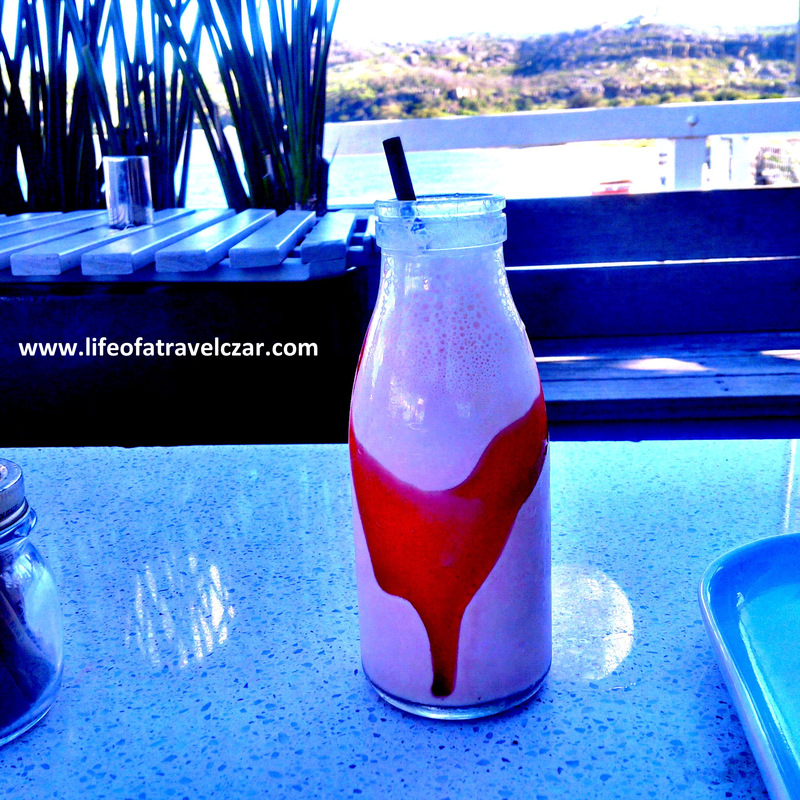 Looks great – have you tried the Boathouse at Balmoral Beach – just as good but less of a drive! Thanks, I have been inside the Balmoral Boathouse but finding a seat is always difficult. The Palm Beach one seems a bit more relaxed (in terms of atmosphere / staff) but it is quite a drive! Funny filter bro! 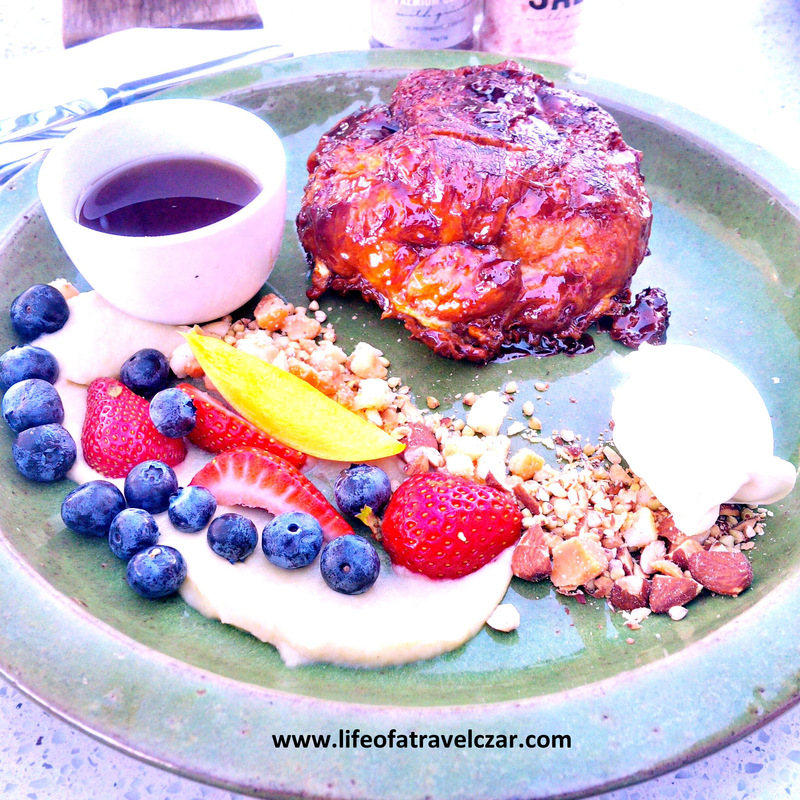 All those amazing cafés & all you adept foodies make me want to try living in Oz. Its the place to be – the cafes are great!